This Sun City Verbena is perfectly located in the village of Split Rail and is in walking distance to the fantastic amenities that Del Webb communities are so famous for. The Casita is an appreciated upgrade and can be used for an office, craft room and/or an additional space for guests. Gorgeous stacked stone highlights the entry. 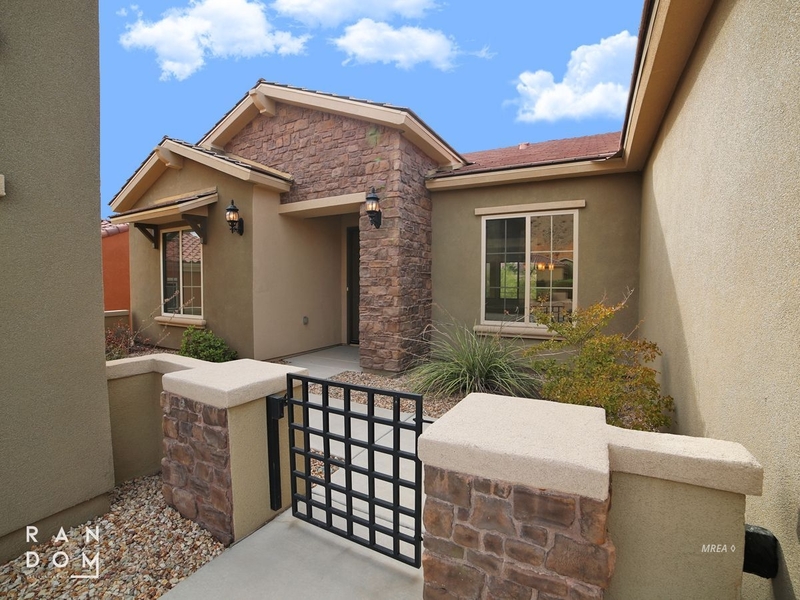 Natural desert landscape is exceptional and the mountains and mesas offer a one of a kind view in Mesquite. This 2,488 SF, 3 BD, 3 BA, Den, plus Formal Dining area and Casita are like new and have barely been lived in. Ten foot ceilings throughout and trey ceilings in the dining area and master bedroom give the home a luxurious feel. The kitchen has granite counter tops, stainless steel appliances and the large center island is awesome. Costly raised panel Cinnamon Toffee Cabinetry w/pull-out shelving, under cabinet lightning and a spacious center island accent the kitchen. A large eating bar expands the space and allows for a fantastic open floor plan. The master suite has tall windows highlighting the gorgeous view and the master ensuite will not disappoint. The utility sink and cabinets in the laundry room are a bonus. SID IS PAID IN FULL.